If you’re tempted to give roses a try after reading last week’s Gardenwise, or indeed to expand your collection if you’re already a rose grower, it might be useful to talk about the different kinds of rose plant you’ll find available if you visit your local garden centre. I really do believe that there’s a rose for every garden and would hate to be without them. One of my favourite things in summer is to cut a few blooms for the house, often plonking them informally into a jam jar or drinking glass and leaving them where I can inhale their heavenly scent. 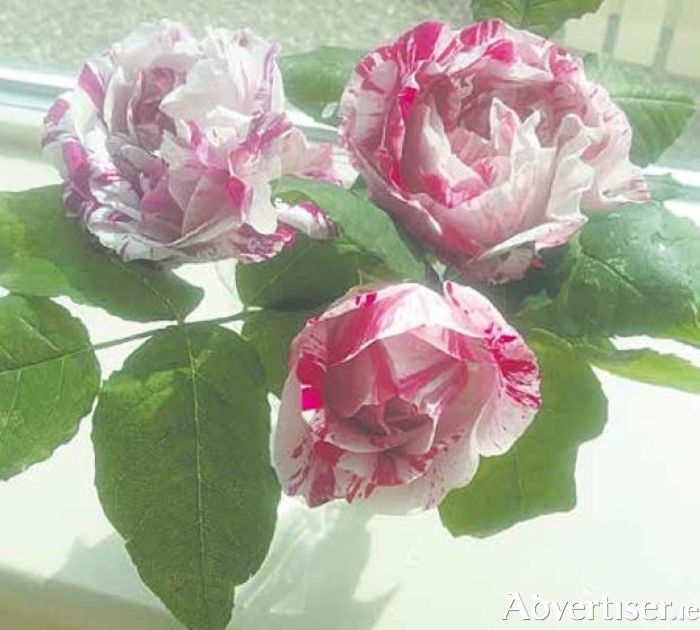 Firstly, there are the shrub roses, which as the same suggests, you would grow like a shrub or a bush – terms change over time and you might be used to hearing them referred to as hybrid teas or floribundas as well. (Hybrid teas produce single, large blooms, and floribundas flower in clusters of smaller blooms. ) Plants will grow to different eventual sizes so have some idea of how much space you can give your rose before you buy. Next are the ground cover roses, low growing and often used to cover areas where some summer colour is needed, such as a slope. These are best planted en masse in a single colour and tend to flower prolifically without needing much attention. When it comes to climbing and rambling roses, there tends to be a lot of confusion between the two so it helps to know what you’re looking for. Generally speaking, a climber needs to be trained on to a trellis or other support, and pruned annually to do well. Many climbers will repeat flower during the growing season, with single blooms in every available colour. Rambling roses are different – in general they flower in clusters, often of smaller flowers, single or double, and older varieties – often exquisitely scented – tend to flower in one flush in early summer. They also tend to be quite vigorous plants and do best when allowed to scramble over a pergola, archway or even a small building such as a garden shed or summer house.